Many people are used to chatting with their friends and families through WhatsApp. Indeed, WhatsApp has become a popular tool for communicating as it allows users to send messages, videos, pictures and more. Some of the data are so important that we cannot lose no matter what. 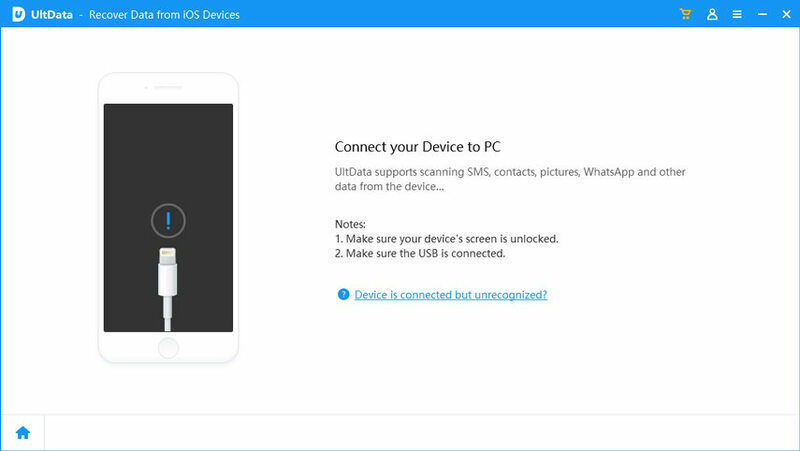 Thus, it is necessary to transfer WhatsApp data from iPhone 7/7 Plus to PC to backup data from time to time. We all know that iTunes can create backup for WhatsApp data, but it neither allows us to view backup files unless we restore our device nor recover WhatsApp data selectively. That’s why we introduce you iPhone Data Recovery, the best iPhone/iPod/iPad data transferring software for you to export WhatsApp data to PC with simple clicks. This software supports to extract more than 20 types of data and gives you the glimpse of the files before exporting or removing to your PC. iPhone Data Recovery provides three effective ways for users to transfer and export WhatsApp messages/photos/videos/chat log and other data from iPhone 7/7 Plus/SE/6s/6/5s/5 to PC or Mac. Step 1: Run the software and connect your iPhone to computer via a USB cable. Click “Start Scan” to scan the data in your device. You are allowed to select data type to scan. Step 2: After scanning, you can preview all the data in your iPhone, including existing ones and deleted ones. Tick WhatsApp on the left column and choose the one you need. Press “Recover” and a pop-up window will ask you to choose a destination folder on your computer to save the data. Step 1: Select “Recover from iTunes Backup Files” and choose the backup you need, click “Start Scan” to extract data in it. Step 2: When the scanning process finished, you can preview all the contents according to the file category. Step 3: Select the files you need and click “Recover”, choose a folder to export these data to your PC. If you have iCloud backup, you can extract WhatsApp data from backup files and then download to your computer. Step 1: Switch to “Recover from iCloud backup” and login your iCloud account. Step 2: Choose the backup you need and click "Next" to download these backup files from your iCloud. 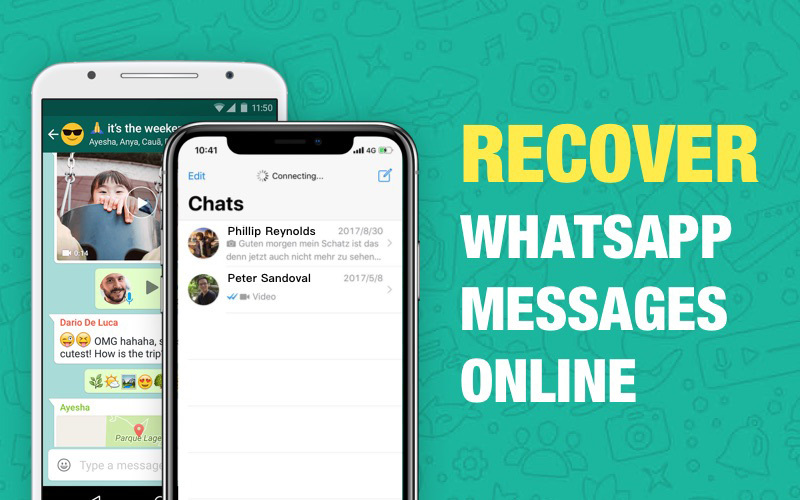 Step 3: After downloading, you can preview all the data in the backup, choose the one you need and press “Recover” to get the WhatsApp messages/media/pictures exported to computer. Note: A new feature of iPhone Data Recovery is that it can help you repair operating systems, if your iPhone gets stuck or has other iOS system issues, you can also try this amazing software for system repairing. 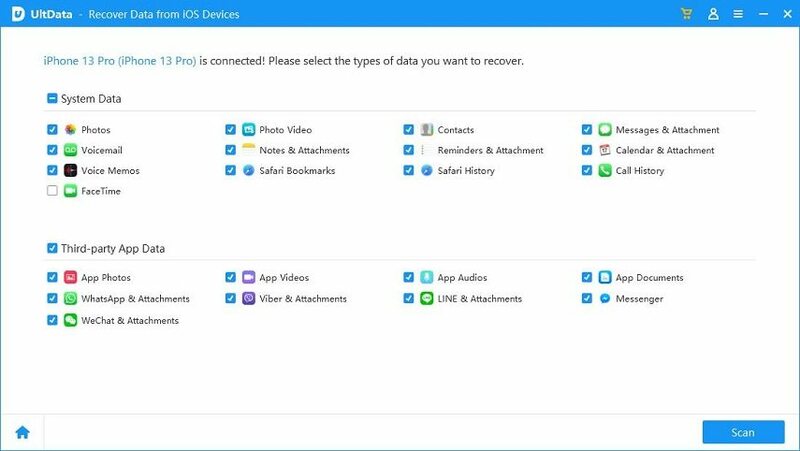 iPhone Data Recovery really makes it easier to recover the deleted files and extract important data to create backup on computer. Just download the latest version to transfer your precious WhatsApp messages and attachments as well as other important files to computer!